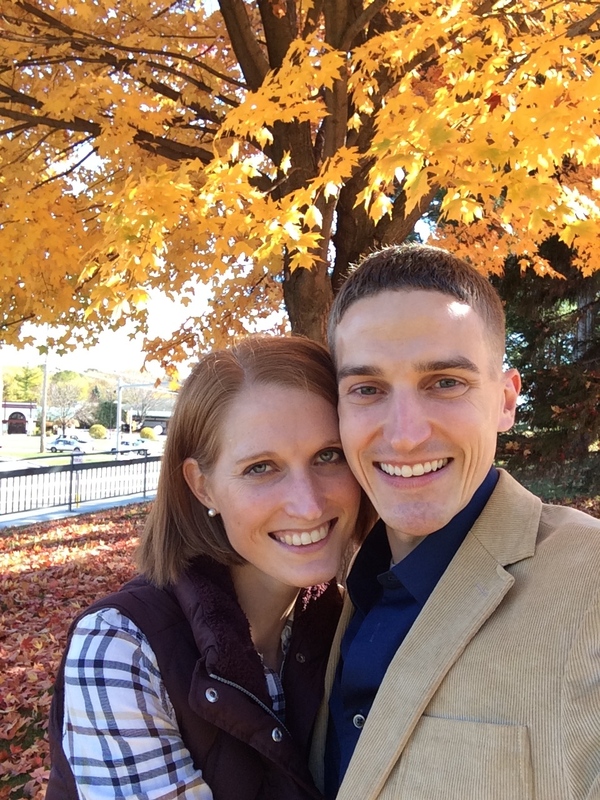 And, since Sunday was just as beautiful, Philip and I could enjoy the day outside for a bit instead. I’ve totally embraced that summer is over and am loving all the fall colors. I just can’t get enough! Madison is by far the prettiest place in the fall that I’ve lived (granted, this is only the fourth city I’ve lived in, but still, it’s the prettiest!). Well, no matter what the weather, to me, fall means soup. Even if it is almost 70 degrees out. That’s because I know that no matter how warm it is, it will most likely be soup weather again in two to three short days (at least that’s how things roll in the Midwest). I figure I might as well be prepared for when it’s “soup weather” by everybody else’s standards. 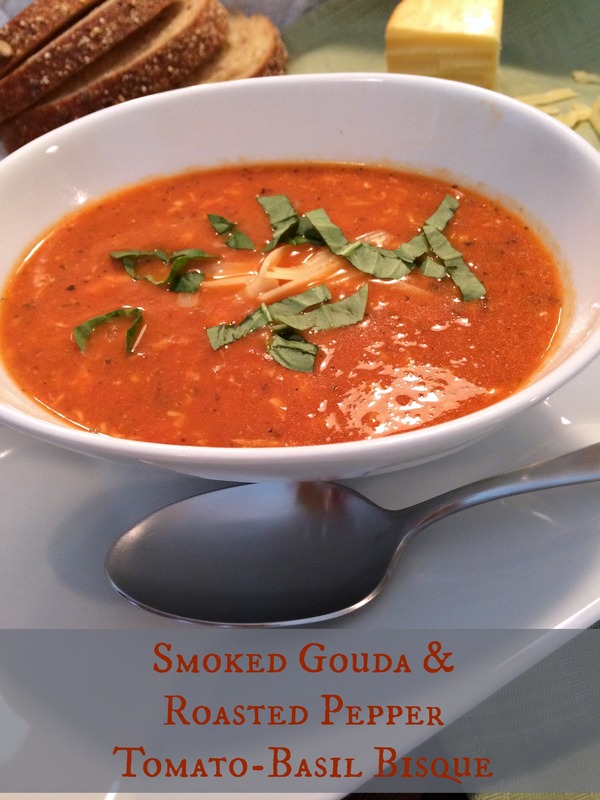 So today, I bring you Smoked Gouda and Roasted Red Pepper Tomato-Basil Bisque. Whew, that’s a long one! Don’t worry, the title itself lists about all the main ingredients in the soup; you don’t have too many more ingredients to add. 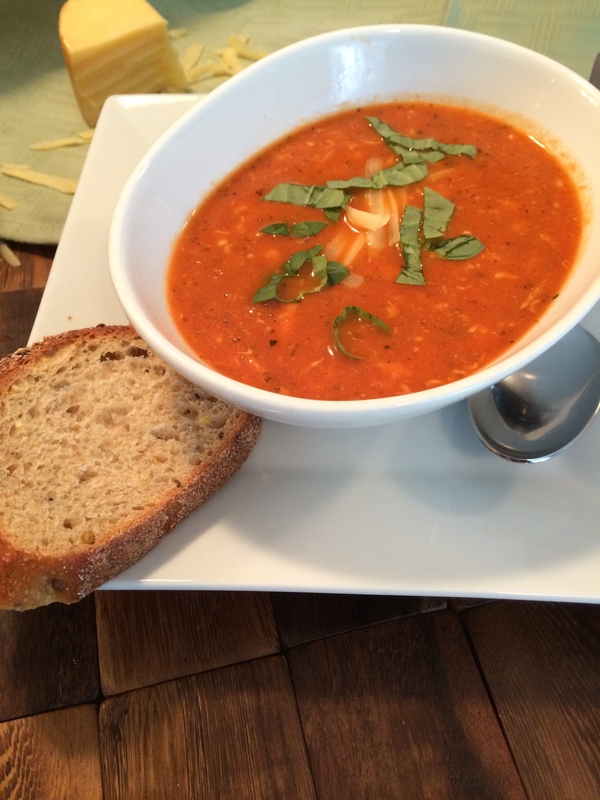 I actually made this soup way back in May by my friend Alex’s request (she said it was the best ever — she was right). But you know, May and “soup weather” aren’t usually said in the same sentence…even for me. It was cool(er) temps when I made it (although, it’s highly likely I only convinced myself of this when I made it) and the temperatures rose so quickly, I knew it was too late for me to post it on here. Basically, long story short, I’m tired of waiting and I’m just going to share this super tasty and comforting soup with you today, gosh darn-it! Now, I’m not a fan of tomato soup. It was never something that complimented my grilled cheese growing up (and still isn’t to this day). And I usually stay away from bisques at restaurants as well, just to be on the safe side. But when Alex told me this was a recipe for RD in the Midwest, I figured I could sacrifice for the sake of others’ food enjoyment and give it a try. Plus, it had Gouda in it — smoked Gouda at that! I knew it couldn’t be all that bad. I’m so glad I gave it a try because it is so good! 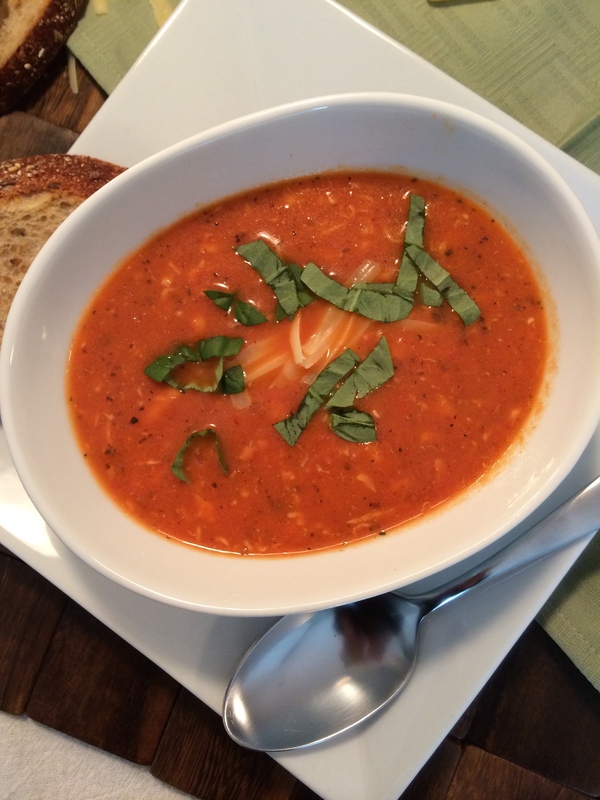 The tomato flavor doesn’t dominate at all and has a great warmth and depth of flavor to it. The smokiness of the Gouda and the little bit of cream in it really adds to the overall richness of the soup without it feeling heavy. 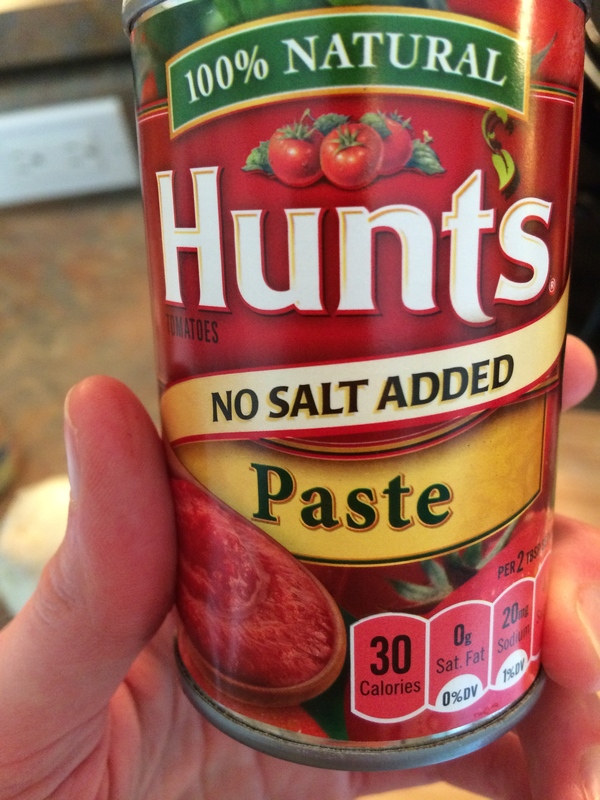 Since this is a tomato-based bisque, it’s only natural that I wanted to use high quality tomatoes. 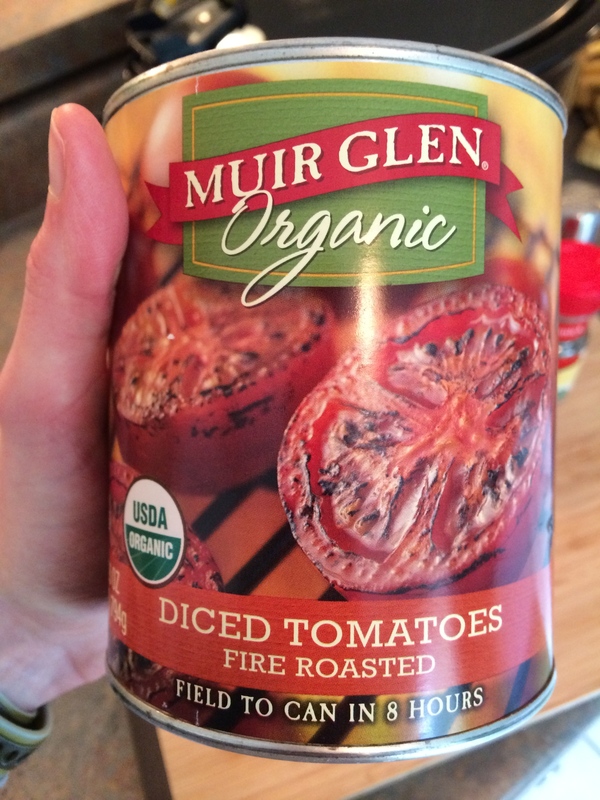 The best that I’ve come across (and what America’s Test Kitchen usually recommends in their recipes) is the Muir Glen Organic tomatoes. I’m not one to get organic all the time (or to get a “name-brand” even), but when I can tell a difference, it’s worth it. Muir Glen tomatoes are taken at their ripest and go from field to can in under 8 hours — I have to admit, that’s even better than when I can my own tomatoes! Whatever ingredients you use, I know it’s going to taste amazing. Whether it’s May or October, -20 degrees or 60+ degrees, this bisque is definitely one to try. Thanks, Alex, for the recommendation! To the Crock Pot, add tomatoes, roasted red peppers, chicken stock, tomato paste, basil, salt, oregano, and black pepper. In a medium sauté pan, over medium heat, sauté onion and garlic in butter until soft and translucent. About 10 minutes. Add sautéed onions to slow cooker, cover and cook on low for 4 hours. After 4 hours, transfer soup to a blender and puree until smooth. Pour soup back into Crock Pot. To the Crock Pot, stir in cream and Gouda cheese. Cover and cook on low for 1 more hour. When ready to serve, chiffonade the basil and sprinkle it on top of bisque in individual bowls. I so want to make this now! You so should! It’s so comforting.